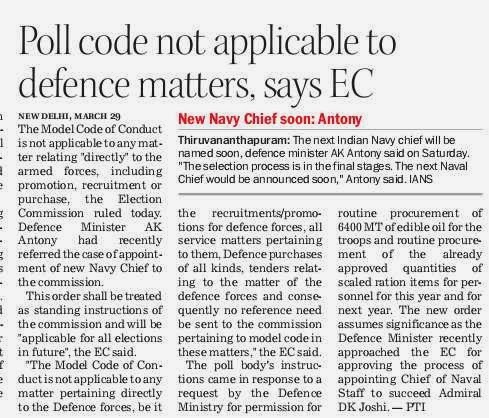 The Model Code of Conduct is not applicable to any matter relating "directly" to the armed forces, including promotion, recruitment or purchase, the Election Commission ruled today. 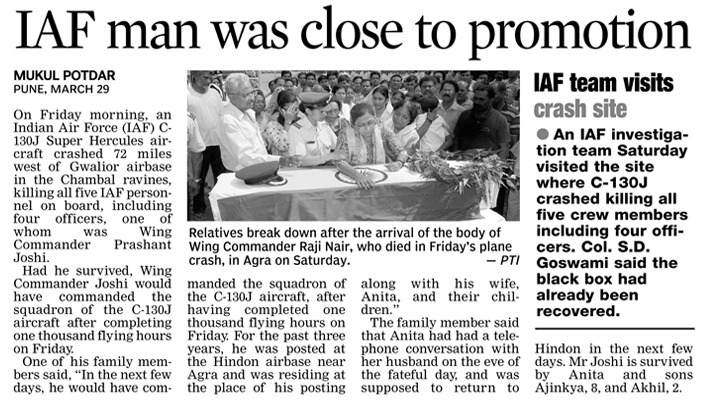 Defence Minister AK Antony had recently referred the case of appointment of new Navy Chief to the commission. This order shall be treated as standing instructions of the commission and will be "applicable for all elections in future", the EC said. 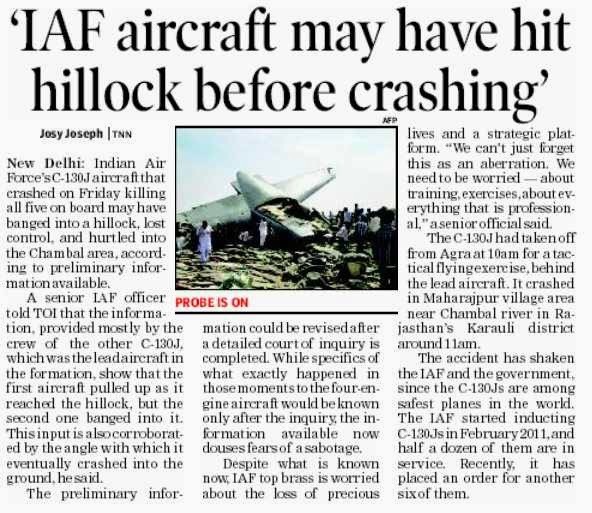 "The Model Code of Conduct is not applicable to any matter pertaining directly to the Defence forces, be it the recruitments/promotions for defence forces, all service matters pertaining to them, Defence purchases of all kinds, tenders relating to the matter of the defence forces and consequently no reference need be sent to the commission pertaining to model code in these matters," the EC said. Thiruvananthapuram: The next Indian Navy chief will be named soon, defence minister AK Antony said on Saturday. "The selection process is in the final stages. The next Naval Chief would be announced soon," Antony said. IANS. A day after twin terror attacks in Kathua in Jammu region, militants on Saturday attacked a police party in south Kashmir and planted an Improvised Explosive Devise (IED) near an Army camp on the outskirts of Srinagar. The militants also opened fire on an Army patrol in north Kashmir. A policeman was injured when militants attacked a police party near Kakpora Pulwama, 20 km from Srinagar. The injured has been identified as Javid Iqbal of the Indian Reserve Police (IRP) 18 battalion. He was shifted to a Pampore hospital, where his condition is stated to be stable. The firing created panic in the area and shopkeepers downed their shutters. Militant outfit Hizbul Mujahideen has claimed the responsibility of the attack. 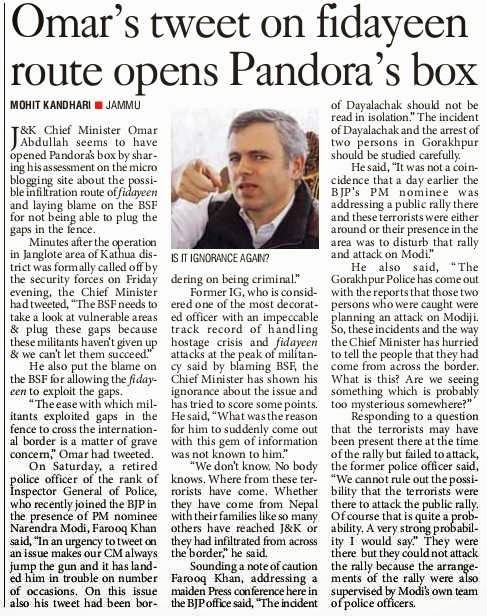 Almost an hour before the incident, PDP president Mehbooba Mufti held a road show in the area. In Srinagar, a major tragedy was averted after an IED was detected near an Army camp in Bemina. Sources said Army’s Road Opening Party found 10 kg IED in a pressure cooker which was kept in a bag. 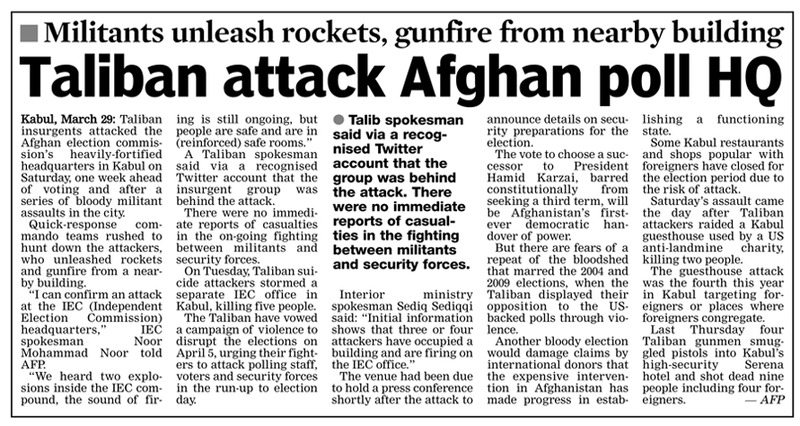 “The troops immediately alerted the bomb disposal squad. The area was immediately cordoned off and sniffer dogs were called,” said an official. 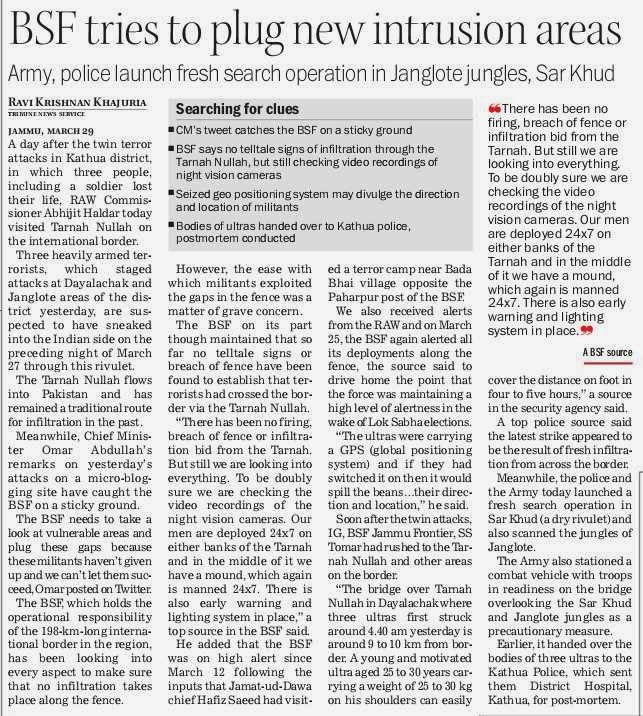 “The IED was later defused after which the traffic was allowed to ply on the stretch,” he said. Militants also fired on a team of Army's counter- insurgency unit on the Srinagar-Baramulla highway near Palhalan. 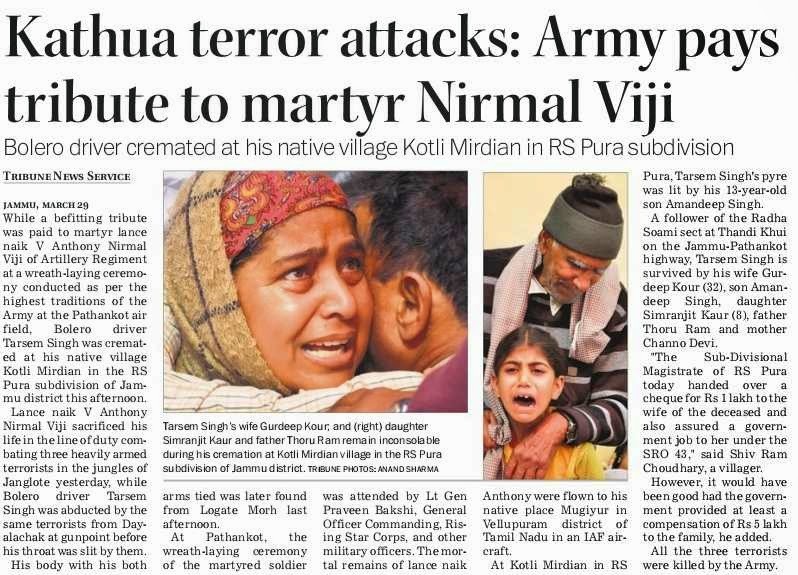 “The Army did not retaliate as the gunshots were fired from a residential area. 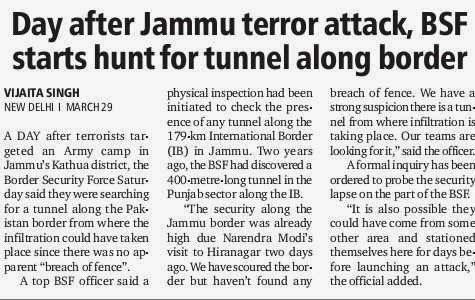 The area was, however, immediately cordoned off and during a search one AK-47 rifle and a magazine was recovered,” said an official. 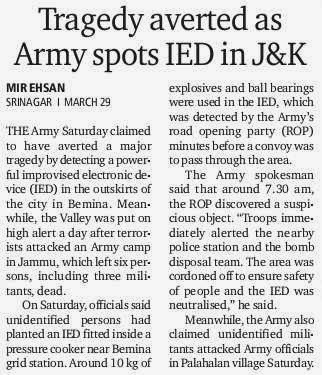 * In Srinagar, a major tragedy was averted after an IED was detected near an Army camp in Bemina. A hundred years ago, Great Britain had outsourced her Great War to India. India recruited 14,40,437 men and sent 13,81,050 of them overseas to fight for the British Empire between 1914 and 1918, saving Britain and her Allies from an ignominious defeat. Yet how much does the world and India herself remember her role in the First World War? A British Council survey has revealed some startling facts. The online survey released in February this year polled 7,488 respondents from India, UK, Egypt, France, Germany, Russia and Turkey. The survey shows low-level of awareness among respondents in all countries about the Great War. India, in particular, seems to be really struggling to remember anything. About 27% of Indians in the survey believed their country fought against Britain in the war, while 51% knew their country fought for Britain. In comparison, 63% of UK respondents knew India fought by Britain's. Lieutenant Colonel (Retd) Anil Bhatt, the former spokesperson of the ministry of defence and Indian Army, blames the government of India and a "warped" education system for this lack of awareness. "India didn't just play a role in the two world wars, it played a decisive role. Yet our government has behaved like an ostrich all these decades. What national history is this that completely buries under the carpet the glorious role of our people in some of the major world events?" Bhat says. Ironically, Indians taking the survey showed greater awareness about the war itself than India's role in it. Only 4% of UK respondents knew the war had Latin American involvement (Brazil was the only South American country to be directly involved in the war) but 11% Indians were aware of the fact. The percentage of respondents from France, Russia, and Germany clicking the right option are in single digits. When Great Britain declared war on Germany on August 4, 1914, it had only about 1,50,000 combat-ready troops. It could commit only a little over 80,000 troops to the Western Front in the initial days of the war. In comparison, France had an army of 12,90,000 while Germany had an even bigger army of 19,00,000. The only professional standing army that Britain could bank upon in that crisis was the Indian Army. Britain would use this imperial reserve to the fullest throughout the war, and Indian troops would become the first fighting non-white colonial soldiers in Europe ever. According to the survey, 45% Indians believed Britain's conduct in the war positively affected their view of that country; 29% thought WWI continues to impact India and dictates her foreign policy; while 24% were of the view that India's contribution was misinterpreted. In fact, 22% believed that WWI strongly contributes to Indian national identity even today. Interestingly, 78% of respondents in France believed India stayed neutral in the conflict and didn't send any troops; in reality, over 1,40,000 Indian soldiers fought to defend French soil and thousands died while doing so. Incidentally, one of the largest Indian memorials in Europe is at Neuve Chappelle, France where nearly 5,000 Indian soldiers died during one of the bloodiest battles of the Great War in March 1915. Security forces on Saturday detected an improvised explosive device (IED) planted by militants outside an Army camp in the heart of the city. A patrol party of 151 Territorial Army noticed a bag lying by the roadside near an Army camp in Bemina area of the city, the police said. The Army personnel found a pressure cooker inside the bag and immediately called for the bomb disposal squad, the police said. The five-kg IED was destroyed by the bomb disposal squad, police said, adding no damage was caused in the controlled explosion. India on Friday successfully test-fired nuclear capable ballistic missile Prithvi-II in salvo mode from a defence base off the Odisha coast. The test was conducted by the Strategic Forces Command (SFC) of Indian Army. Equipped with state of the art guidance system the 350-km range missile was launched from the launching complex III (LC-III) at the ITR in Chandipur-on-sea, nearly 15 km from Balasore at about 9.45 am. Mounted on a Mobile Tatra transporter-erector Launcher (MTL) the indigenously developed surface-to-surface short range ballistic missile (SRBM) was launched with a dummy payload in a real time situation. The total launch activity was carried out by the SFC while the DRDO provided all logistic supports. "It was a perfect launch. The missile aimed at the target from the launch point, met all the mission objectives. It was a copy book success," said ITR Director MVKV Prasad. The test was conducted as part of the operational exercises. A naval ship located at the impact points tracked and monitored the missile. All the radars and other sensors along the east coast also monitored the missile's trajectory parameters. The missile used for the test was picked up randomly from the assembly line after production and was launched with inertial navigation system. It has achieved single digit accuracy reaching close to zero circular error probability (CEP). The entire flight path of the missiles was smooth in accordance with pre-decided coordinates. Prithvi, the first missile developed under Integrated Guided Missile Development Programme (IGMDP), has the capability to carry 500 kg to 1000 kg of warhead. It has a length of nine metres with one metre diametre. It is thrusted by liquid propulsion twin engine and uses Advanced Inertial Guidance System (AIGS) with maneouring trajectory. The missile weighing around 4.6 tonne uses an inertial guidance system with reasonably good accuracy and the warhead uses a radar correlation terminal guidance system. It can target mobile targets including unmanned aerial vehicles.